The oral (Sabin) polio vaccine (OPV) contains three attenuated (weakened) polio virus strains, that activates an immune response in the body, and for a few weeks causes the weakened virus to be shed in the feces. This is considered a `good’ side effect, for in areas with poor sanitation, this vaccine-virus can spread in the community for a limited time conveying extra immunity. But, as the WHO explains, every once in awhile this can go awry. Since 2000, more than 10 billion doses of OPV have been administered to nearly 3 billion children worldwide. As a result, more than 10 million cases of polio have been prevented, and the disease has been reduced by more than 99%. During that time, 20 cVDPV outbreaks occurred in 20 countries, resulting in 758 VDPV cases. Statistically, a drop in the bucket. But for Polio to be completely eradicated, experts have warned that the use of the OPV must be eventually phased out, and the final push completed using the older inactivated Salk vaccine (see Nature Vaccine switch urged for polio endgame). Unlike the oral vaccine which has been the workhorse of the global polio eradication initiative, the inactivated vaccine must be delivered via an injection, and by a trained healthcare professional. It is also 10 times more expensive than the oral vaccine, but OPV must be phased out if Polio is to be completely eradicated. Last year we saw detections of cVDPV in both South Sudan and Madagascar, and earlier this year 8 new cases were reported in Madagascar. Today the World Health Organization reports on another rare cVDPV event, this time in Laos. On 8 October 2015, the National IHR Focal Point of the Lao People’s Democratic Republic (PDR) notified WHO of one confirmed type 1 vaccine-derived poliovirus (VDPV) case. In Lao PDR, one case of circulating vaccine-derived poliovirus type 1 (cVDPV1) was confirmed, with onset of paralysis on 7 September. The patient was 8 years old when he died on 11 September. 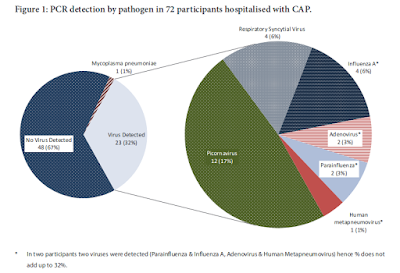 Genetic sequencing of the virus confirmed on 6 October that it is vaccine-derived and suggests that it has been circulating in the area for more than two years. The child was in the district of Bolikhan, in Bolikhamxay Province. The district has chronically low immunization rates: reported coverage with 3 doses of oral polio vaccine (OPV) was of 40% to 66% between 2009 and 2014; and 44% in 2015 to date. Lao’s last case of indigenous wild poliovirus was reported in 1993. Comprehensive outbreak response activities are taking place in response to this outbreak, in line with the Global Polio Eradication Initiative Standard Operating Procedures for responding to a poliovirus outbreak. A joint team of the Ministry of Health, the World Health Organization, UNICEF and the Lao Office of US Centers for Disease Control and Prevention team travelled to the province for further assessment on 7 October. A rapid survey conducted in the affected village showed low vaccine coverage for OPV. Active case finding in the surroundings of the case’s household is ongoing; stool specimens are being collected from healthy children in the case household and community. Emergency Operations Centers (EOCs) at the national and province level have been activated to coordinate outbreak response activities. Preparations are under way for large-scale supplementary OPV immunization campaigns covering Bolikhamxay province and several adjacent provinces. The scope of additional campaigns will be ascertained following completion of the ongoing investigations. Circulating vaccine-derived polioviruses (cVDPVs) are rare but well-documented strains of poliovirus mutated from strains in oral polio vaccine (OPV). They can emerge in some populations that are inadequately immunized. Ending polio for good requires eliminating both wild and vaccine-derived polio, and due to the risk of cVDPVs, use of OPV must be stopped to secure a lasting polio-free world. OPV will be withdrawn in a phased manner, beginning with the removal of type 2-containing OPV. The switch from trivalent to bivalent OPV, planned in April 2016, will reduce the risk of cVDPV substantially (as 90% of cVDPV is caused by type 2) and sets the stage to eventually stop using OPV altogether and transition to the inactivated polio vaccine (IPV), which cannot cause cVDPV. Because of relatively limited travel to and from this area and the planned immunization activities , the World Health Organization (WHO) assesses the risk of international spread of the cVDPV1 from Lao to be low. It is important that all countries, in particular those with frequent travel and contacts with polio-affected countries and areas, strengthen surveillance for acute flaccid paralysis (AFP) cases in order to rapidly detect any new virus importation and to facilitate a rapid response. Countries, territories and areas should also maintain uniformly high routine immunization coverage at the district level to minimize the consequences of any new virus introduction. WHO’s International Travel and Health recommends that all travelers to polio-affected areas be fully vaccinated against polio. Residents (and visitors for more than 4 weeks) from infected areas should receive an additional dose of OPV or inactivated polio vaccine (IPV) within 4 weeks to 12 months of travel. While only one case is reported here, for every paralytic case diagnosed, it is expected that there are as many as 200 undetected mild cases in the community.